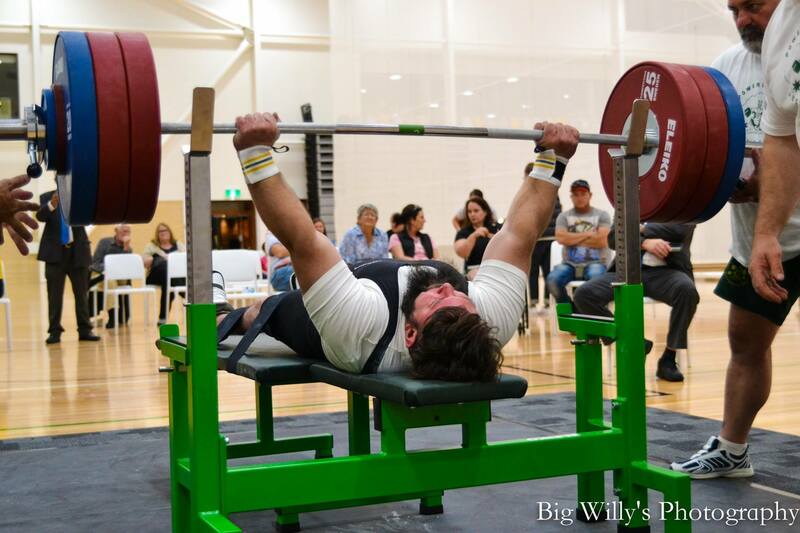 The Gold Coast venue for the 2018 Commonwealth Games saw the first big Para Powerlifting event. 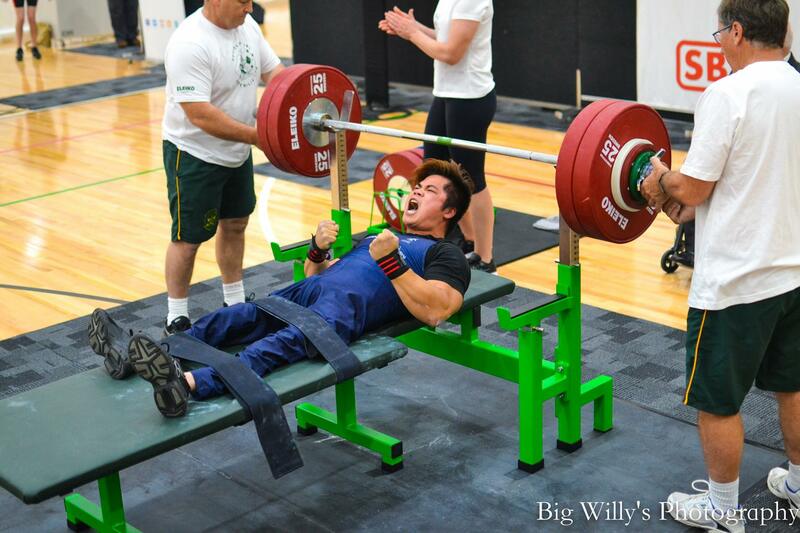 run under the auspices of Powerlifting Australia. A stellar field of 20 lifters came forward to fight for places in the Games and new talents broke through and established stars consolidated their spots. Australia is now close to a full squad of 6 for the Gold Coast 2018. In the Women’s lifting Jessica Gray confirmed her top ranking with 81kg then a fourth attempt 86kg. But emerging from the ranks of PA came military vet Christie Ashcroft to run Jessica close up with 85kg. Another newcomer was Rio sprint medallist Kelly Cartwright, turning to Powerlifting with a big 57kg at only 46kg bodyweight. The Men’s lifting also went down to the wire, but proven performer Ben Wright prevailed with 174kg at 87kg bodyweight over Nang Nguyen 142kg at 56kg bodyweight. Then came Leigh Skinner a former record holder with Powerlifting Australia who pressed 160kg at 79kg. There followed a quality field, including veteran Richard Nicholson with 122kg and New Zealander Matt Gordon at 145kg. Those great results left Australia with four probable and two further possible qualifiers for the Games. More will be revealed after the World Championships in Mexico late November, but Australia’s Para Powerlifting is now firmly on the map.